Nestled in the seclusion of Florida's Palm Island lies Lazy Heron-one of the region's most pristine estates. Features include: 8,200 square feet of living space with extensive interior and exterior upgrades. The interior boasts Jerusalem Limestone and natural granite, Murano glass lighting, Sub-zero and Wolf appliances, custom woodwork and cabinetry, Philippine shell detailing, coral fireplace and columns, cut glass and the top of line hurricane resistant windows and doors. The exterior is a tropical oasis reminiscent of a Bali Resort with a salt water lagoon pool, rock waterfall and spa, fire pit, gas Tiki torches and an official Tiki hut built by local Indians. Mist system assures temperatures remain cool in the summers and the mosquito-nix system allows you to enjoy the outstanding sunrises and sunsets from one of the many porches or balconies. Palm Island offers extravagant private beaches and security with the private car ferry. This compound also offers a deep water-50 ft dock and 2 lifts (16,000 lbs and 7,000 lbs) along with a private fishing pier. Property can accommodate another house or guest house, heli-pad, tennis court etc. 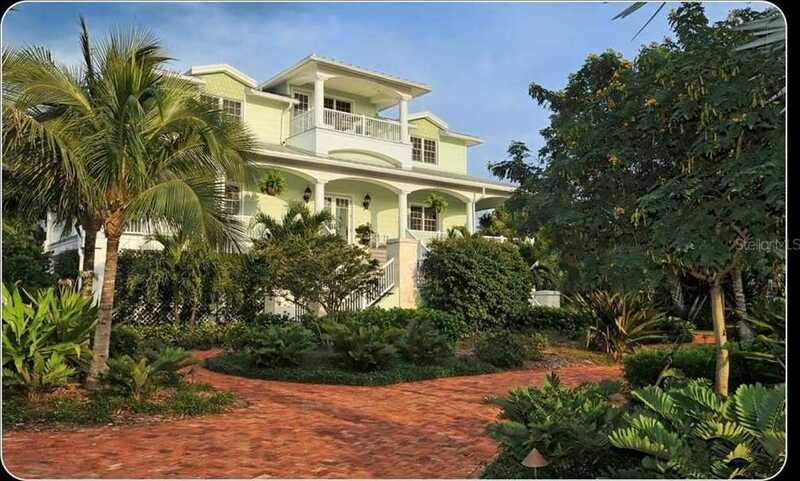 This remarkable estate offers the very best for the island, boating and beach lifestyle. Please, send me more information on this property: MLS# D6100767 – $3,395,000 – 10460 Sunny Dreams Ter, Placida, FL 33946.